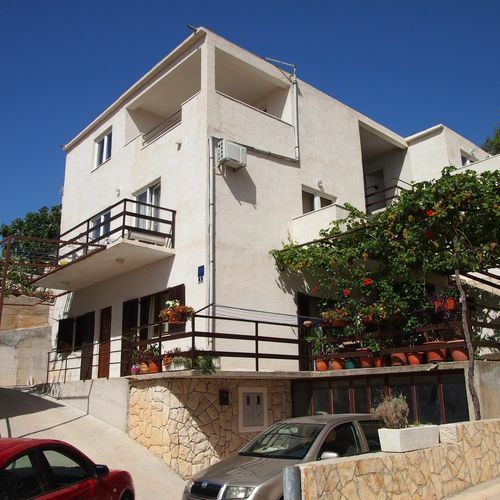 Apartments are on the shore of beautiful Riviera Omis in a small tourist place Ruskamen. The house is located above the main road, in a very quiet neighborhood. The garden is filled with grapevines and common barbecue in guarantee on hot days this is an oasis of shade and serenity. About 150 meters below the house is pebble beach, reached by stairs. You can walk to a little store where you can find everything to fill your daily needs. In front of the house is a courtyard with barbecue which is available to all guests. The house is accessible by vehicle. Parking for guests is located in front of the house. 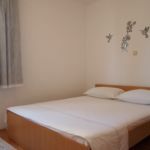 Center Ruskamen with supermarket, cafes and restaurants is 500 meters away from the house. If you want a modern nightlife you can visit the nearby towns of Omis, Split, Trogir or Makarska. In region is possible diving with instructor, rafting on the river Cetina, windsurfing, paragliding, hiking and walking trails, excursions to the islands of Brac and Hvar, mountain slope, driving fast boats, fishing trips, renting a scooter, pedal boats, sea kayaks, boats and water scooters (jet-ski), available from your host. About 150 meters below the house are small pebble beaches with a natural shade and crystal clear waters. The beach is made of small pebbles and it is completely safe for children. First sandy beach is in city of Omiš, 6 kilometers away from the house. In villa Katarina, 5 m from our house is restaurant where is possible to have breakfast or half-board. Prices are affordable, food excellent and on terrace of villa is Jacuzzi on disposal for all guests of villa. 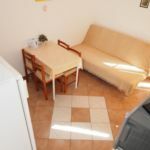 Enjoy in apartments Pivac in hart of Dalmatia! 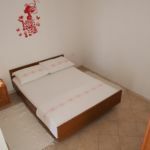 The rating of Apartmani Pivac 1 Lokva Rogoznica is 9.6 from the maximum 10, 7 based on actual and valid guest ratings and reviews. "Jožo gazda és felesége nagyon kedvesek, voltak, minden nap volt friss füge és szőlő!" "Túl sok a lengyel turista, akik hangosan, kultúrálatlanul viselkedtek, nem törődve azzal, hogy esetleg zavarnak másokat." "Kedves, barátságos volt a házigazda." "Kedves szállásadók, és nagyon segítőkészek. Csendes környezet, közel a part, tengerre néző terasz szép kilátást biztosít."